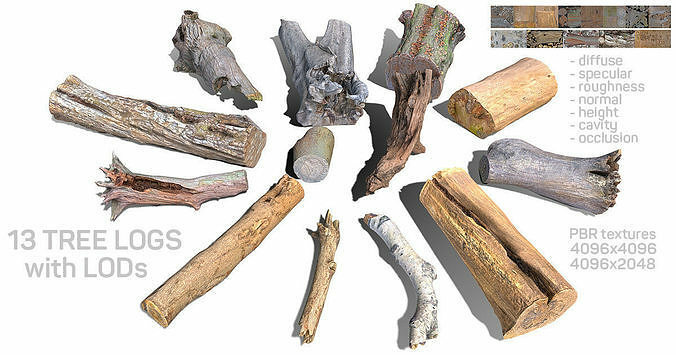 13 Photorealistic Logs low-poly 3D models. Based on a real-world photoscanned objects. All models has at leas 5 LOD levels. Imported as models with LODs and each LOD imporned as a separate model. All LODs accurately made and can be used as a separate object. Models can be used for any detail level games.